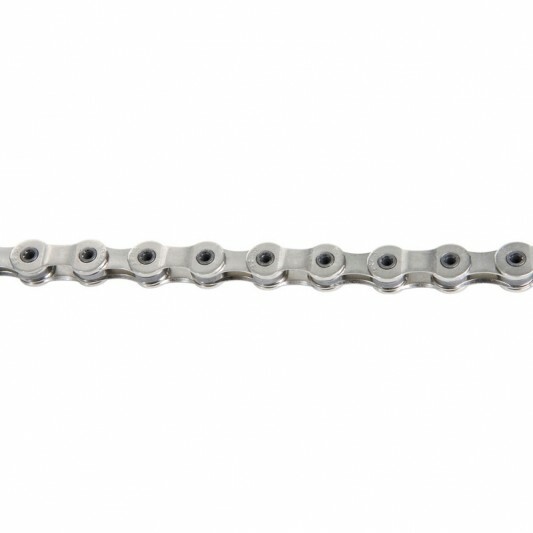 The SRAM PC-1091 PowerChain uses the same strong, lightweight hollow pins as the PC-1091R chain, but foregoes the cut-out chain links in favor of stronger, solid nickel outer and inner plates. 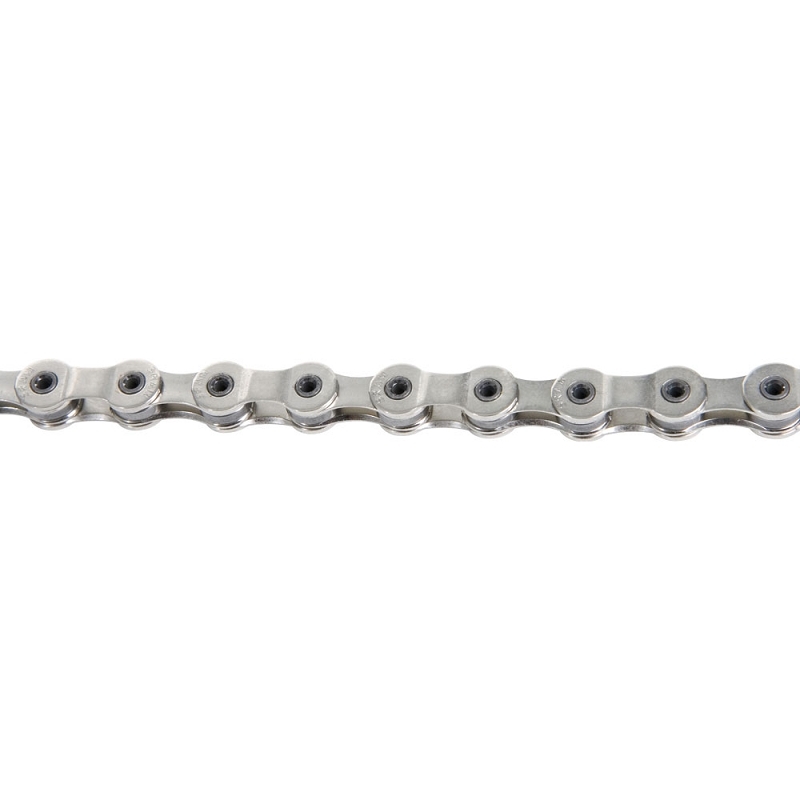 Hollow pins joined with the flush-rivet process, SRAM’s strongest riveting technology. PowerLock non-reusable connecting link is included. Weighs 265 grams (114 links).